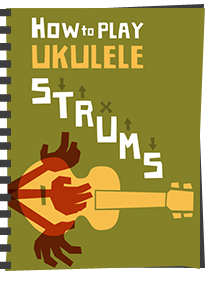 One of the more common questions I see from new ukulele players on the many forums around on social media relates to minor bits of damage and strumming marks on their musical instruments, and more particular, how they can prevent them. What's going on here? 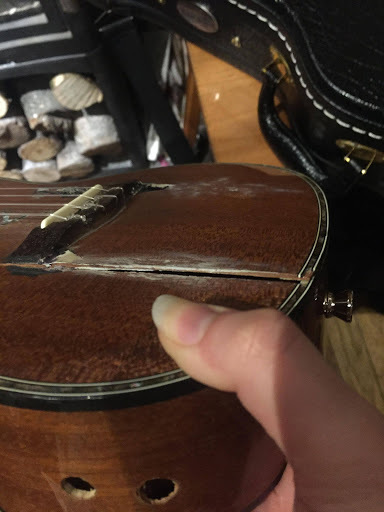 Why the desire to keep a ukulele in shop condition? When you first consider it, I suppose it's natural to want your new ukulele to look nice and shiny because you are pleased with it, perhaps even proud of it. But you will find that you will mark it a some point. Perhaps trivially, perhaps more seriously. 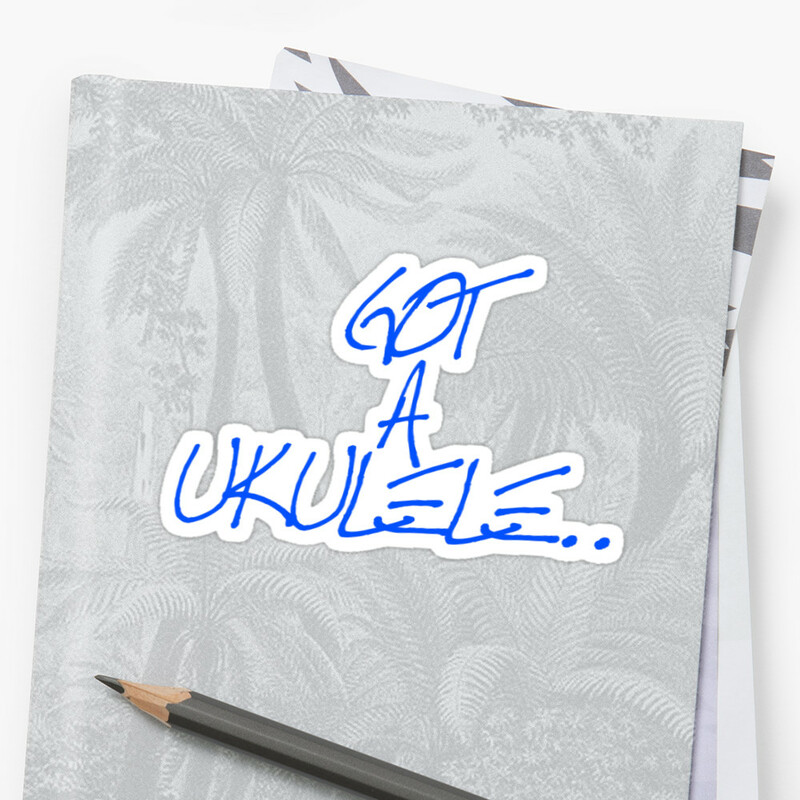 We will all have that gut wrenching moment when you accidentally knock your ukulele over, or catch it on a door frame or a table leaving a mark in the finish. In fact it's one of the worst sounds you can hear. But here's the thing. It DOES and WILL happen. You see, a ukulele for me is nothing more than a tool to make music. And like all tools, they are designed to be put to use, and putting them to use leaves marks and signs of wear and tear. It's completely normal and part and parcel of ownership of an instrument. And I am not talking about utter carelessness here.. I don't mean that it's 'normal' to leave a ukulele out in the rain or to throw it down the stairs, but rather the very act of just playing the thing is bound to leave marks. That's what happens. And there is a good analogy here that deals with both wear and tear and the difference between that and sheer carelessness. Take gardening or woodworking tools. They are built to be used and if used properly will last a long time, even though they will show signs of day to day wear. A careful craftsman or gardener will accept that this will happen and knows it's part and parcel of the thing being used for the job it was made for. They don't fret about it. Of course, a careful craftsman will also look after their tools and clean them down after use, not leaving them in a state that will shorten their life and affect their use. To not do that would be careless. But the day to day stuff through actual use? The wear and tear just happens. It's unavoidable. And it's the same with instruments. So if we leave aside the careless ukulele player who throws their instruments around INVITING damage, what about the rest of us? Why would you not accept that things like strumming marks, or wear on the fingerboard, or even the odd ding from playing the thing a lot when these are just part and parcel of owning and loving a ukulele? Why would you want to avoid that? Because really, the only way to truly avoid it is to not play it very much, if at all. And what is the point of that with a musical instrument? Sure, you may want to look after it, and there is absolutely nothing wrong with the idea of keeping a ukulele in a hard case or protecting it from damaging environments (that's purely common sense), but when it's out of the case why would you want to avoid playing it for fear of marking it? For me, a marked ukulele is the sign of a well loved ukulele. A ukulele that has served time in being played long and hard. For me that is a GOOD thing not a bad one. And even if it is played to the point of destruction, well, they are replaceable you know? I look over some of my collection and most have strumming wear. Most have some dings, and in many cases I can remember the place they were dinged! Ukuleles I have gigged with show the worst marks because the gigging environment can invite damage, but even those that only get play around the house (like my Flea and Fluke) have wear marks through the finish on the top. Am I sad about that? Not at all. It shows I use them. Perhaps one of the saddest responses I hear on this point though is, 'oh because it means better re-sale value if I don't mark it'. Sure, I can't argue with that as a factual statement. 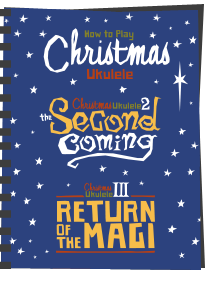 A non marked used ukulele will fetch more on the used market than a battered one. But really, if you are buying a ukulele and then treating it like a museum piece JUST so you can get good re-sale value, then honestly, you probably had the wrong reasons for buying one in the first place. 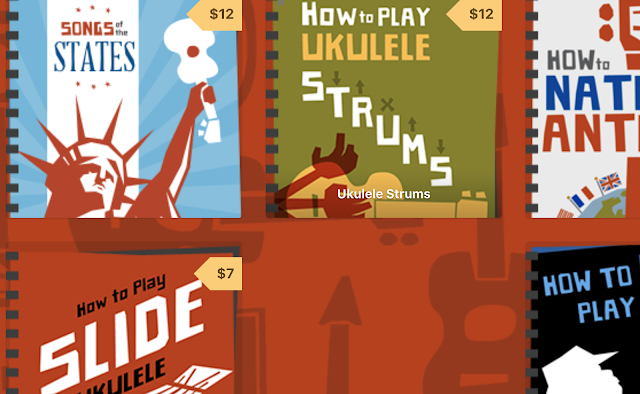 I have never bought a ukulele with thoughts about selling it on. I only buy them to play them. 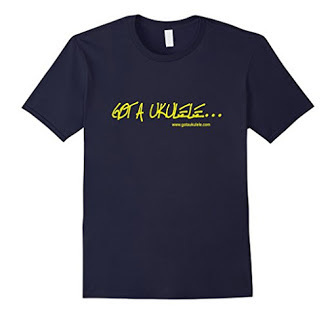 This post was in part inspired by a Facebook item I saw recently from one of the hardest working ukulele musicians I know in the UK. That guy is Marc Gallagher and many of you will have seen him on UK festival stages, or even at the Berlin Ukulele Festival. I've known Marc since he was a younger teenager as he hails from my local town. Heck I have jammed with him lots and played in a band with him. And one thing I know about Marc is he is relentless in his musical goals. That first picture at the top of this post is the one that caught my eye as it's one of his actual gigging ukuleles. It's a Riptide and has been clearly played a lot! The top is worn and splitting. It's grimy. But it's still a ukulele, he still uses it and I absolutely love it for that reason. The post he put up prompted responses from people referring to Willie Nelson's guitar (Google that if you don't know what I mean), and that is a damn good analogy. Another very very heavily played instrument that shows signs of being played. Marc for example once completed a gruelling 100 gigs in 3 months. That kind of playing WILL take it's toll. And does Marc (or Willie for that matter) cry and moan about the damage? Nope. They are tools to do what they do, and they know that if they ever get so bad they can't be played they will either get them repaired or move on to another. It's not the end of the world. The music doesn't stop. And I know many of you are not professionals and not playing anywhere like this much, but really, the point is still exactly the same. As I say, I am not advocating carelessness, but if you find your playing is leaving marks, polishing a satin finish to a shine, rubbing a finish though, that you clipped it on a table, or whatever.. it really isn't life and death. 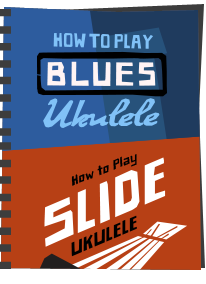 It shows you are PLAYING your ukulele and making it your own. Please don't try to avoid that whatever you do. There's nothing more depressing than an unplayed instrument. Let off steam with the other Got A Ukulele rants here. That's called "love wear" and it's important. Musical instruments can't go to instrument heaven unless they're played to death. So play the hell out of them! It's like The Velveteen Rabbit - all that wear just means that it was loved. A company in North Carolina called Pre-War Guitars builds modern replicas of vintage Martin and Gibson guitars from the 30s and 40s. They offer three different levels of pre-applied distress to give them an authentic look. They used to offer a no distress option, but nobody wanted it. It's like me. Well used and a bit worn around the edges. But not wore out yet. I was thinking of putting some sort of comfort edge on my $1700 Pono. After some months of hemming and hawing I, gently, took a file to that nasty edge and now I'm a much happier camper (comper). in a FB thread about the "best" way to support a uke. I favor the traditional two buttons and a strap. Those who chose weird B&D harnesses or soundhole hooks are welcome to them BUT who are these people who shreik "Oh, I could never drill holes in my precious!" Ukes are inanimate objects! They feel no pain. They are not babies.The buttons make them more secure and useful! 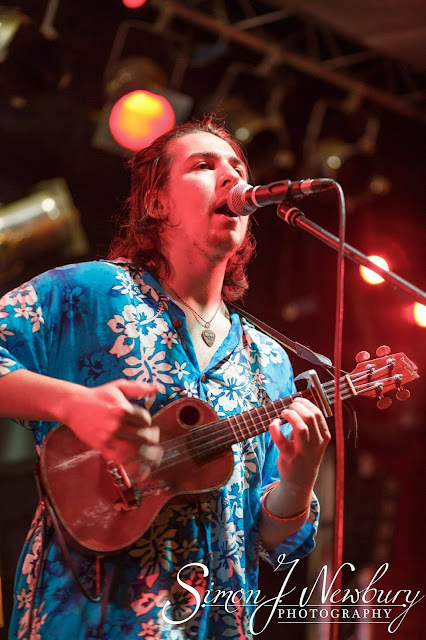 @Lan Yarbrough - or you could learn how to hold the ukulele properly and avoid the need for a strap entirely. 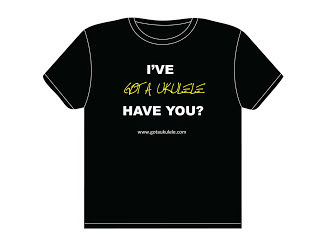 As a guitarist & uke player i know what you mean. But after 42 years in music i preferto treat instruments decent, just because of one simple reason: They dont make 'em like they did. So some are NOT replacable. It's the mojo thing. Once again Barry you speak words of wisdom from the heart. It needed to be said. Thank you. Although my analogy is (unlike my playing, sadly) less artisan and more romantic. For me my relationship with Ebony (my ukes name) is one of affection which brings me joy. The prospect of me loving her any less as a result of "laughter lines" is quite unthinkable. Indeed I foresee such signs when they most surely will develop as measures of our journey together. So far, we have been together only a matter of a few blissful, heady weeks. I would never knowingly or wilfully do her harm, yet neither will I put her upon a pedestal (for someone else to "knock off"). She is a performer. That is the very reason why we got together in the first place. And whilst there will be times when someone else may take her for a turn around the dancefloor, she belongs in my arms. As to straps and buttons ? I think she is fine the way she is. Some people dig tatts and piercings. So that's a matter of taste. (Except for those sound hole contraptions, which are an intolerable abomination and equate to "prison scratches" such as love and hate across ones knuckles). Life is full of travails and accidents can befall even our most beloved. Yet there are surgeons and other cherished healers of great skill who can come to our aid in such times. Scars are, surely, just visible evidence of a life lived. I agree; crow's feet and laughter lines are fine on a uke too.